Very attractive blue and white variety. Main crop. 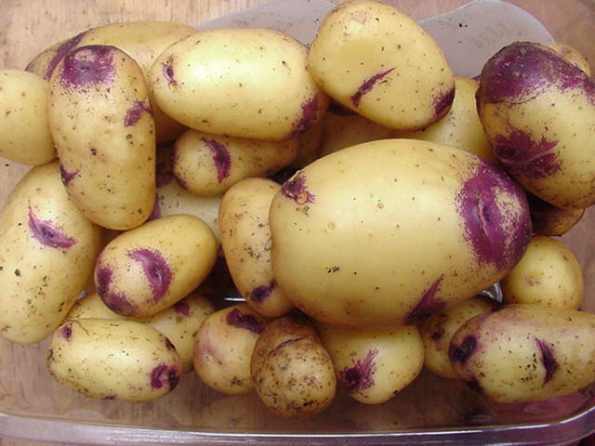 Unusually good as late winter spuds - floury and good flavour. Similar colour to the famous 'Catriona'. Yield 2 to 3lb in a 3 gallon pot. 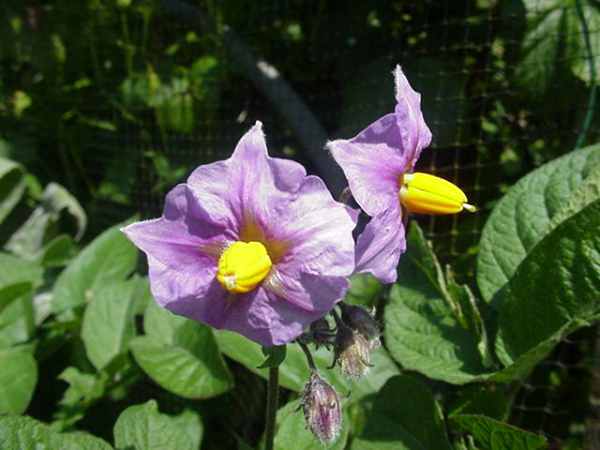 Good reliable yielder; tubers excellent quality with few blemishes. Flowers: Some Blue Belle plants produce flowers; eye-catching and vivid.